Estimates show that there are 2+ million apps on Apple’s App Store as well as in Google’s Play Store. While that certainly looks impressive from the outside, only a handful of apps get the kind of attention reserved for Hollywood icons and other celebrities. And that’s because, for every really useful app on an official app store, there are dozens of clones and wannabe apps vying for screen time. In other words, official app stores are getting boring – much bigger, but more boring nonetheless. As a result of this, there is now an emerging body of third-party app stores that offer standard iOS and Android apps as well as tweaks and modifications that are more useful and more fun to use. 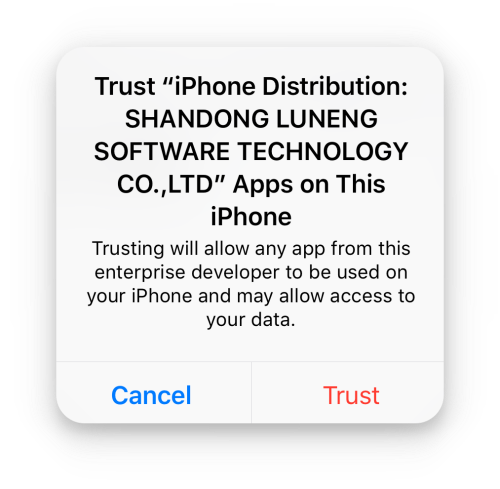 But because third-party apps – especially modded apps – usually required jailbreaking or rooting to be installed on iOS and Android devices, respectively, it was a small pool of JB and root enthusiasts that were having all the fun. With app installers like Panda Helper, that scenario is undergoing a massive shift. No longer do your need a jailbreak and Cydia to download third-party apps on your iPhone. These app installers use a process called sideloading to install the apps on your device, which means they don’t need root or kernel access. When you think about it, the potential for such a secondary market is huge. Smartphones are officially over ten years old, and in a mature market, users are constantly looking for new opportunities. 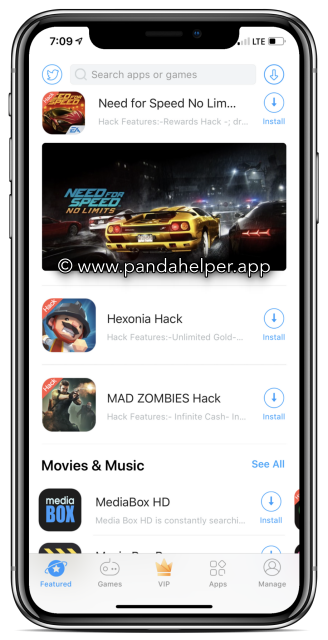 Panda Helper and its peers offer exactly that kind of variety that smartphone and tablet users are after. What Exactly is Panda Helper? 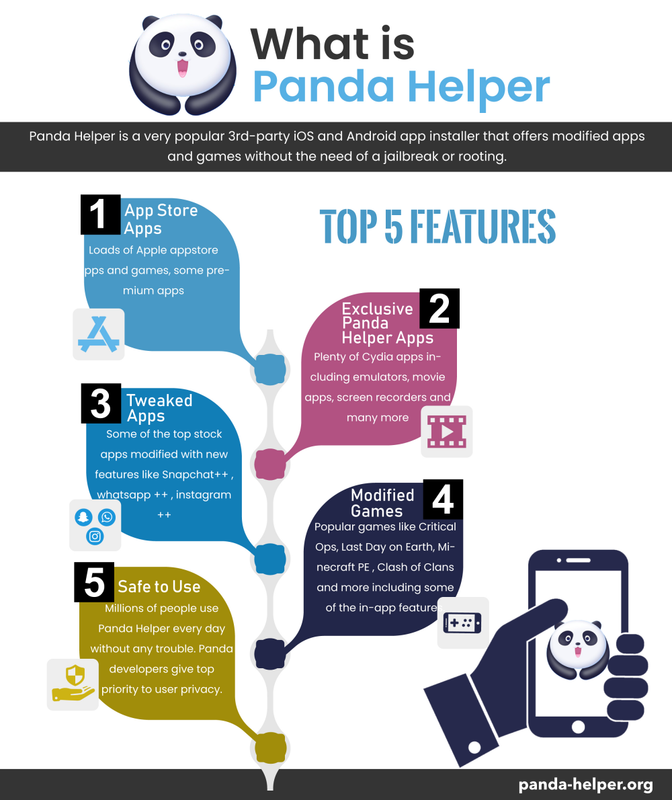 While it is certainly one of the fastest and most secure app installers around, Panda Helper is a lot more than that. 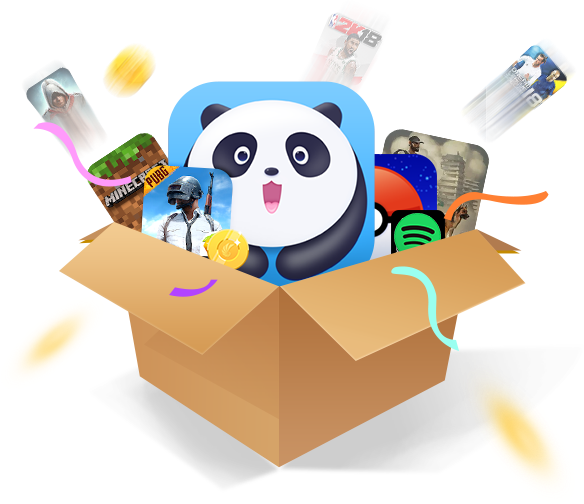 It’s an installer that comes with its own massive app store with an impressive list of regular and modified apps and games. What’s more, it caters to both iOS and Android fans, making for a larger user base numbering in the millions. One major advantage of Panda Helper is that the app is being constantly updated to enhance user experience. Apps are being added at a rapid pace, and you can even request certain modded apps to be added to the collection in case you don’t see it. Imagine trying to do that with Apple or Google!! No jailbreak for iOS version and no rooting for Android version, which means no warranty violations. However, if you have modded apps, delete them when taking your phone in for repairs. Reinstall them later at your convenience. Step 1: Go to the Panda Helper home page on your iOS device and click on Download in the top menu. Step 2: In that page, scroll down to the section called “Method 1: for iOS” and click on one of the configuration profile buttons. Step 3: Tap Install and it will appear on your home screen. Wait for it to load. If you see the words “waiting” under the app icon, tap on it to begin the installation. Don’t open the app yet. Step 5: You can now exit settings and tap on the app icon to launch it. Inside, you will see various categories. Go explore and see what fun stuff you can find. To install Panda Helper in Android, go to the home page and then to the download page, and click on the Android APK button to take you to the relevant page. Please note that this is the only place you can download the official APK for Panda Helper. Other sites offer fake versions that are only intended to promote themselves. Besides, some of them may contain malicious code, so it’s not worth the risk. Step 1: In Settings > Security > Unknown Sources, toggle to enable the option. Step 2: Go back to the Panda Helper APK page and click on PandaHelper APK or Alternate Link. Both should work. Step 3: Go to where you saved the APK file and tap it twice. Once the installation is complete, you can start using it right away. Why Do People Love Modified Versions of Popular Apps? Social media apps all have their own restrictions that can be frustrating, such as the ephemeral nature of Snapchat’s snaps or the fact that Instagram doesn’t offer an easy way to add images to your camera roll. Well, tweaked apps bring all of those highly sought-after features to the regular app. You might have to uninstall the original version before you download the modded version, but you’re gaining, not losing. Just as app stores frustrate users by not letting third-party apps inside, regular apps frustrate them by not providing the features that most people really want. That’s why third-party apps stores, as well as modded apps, are becoming mainstream. No longer are they relegated to jailbroken devices or rooted Android phones. Practically any kind of customization can be done with the sideloading process. It’s becoming so popular, in fact, that it could well push jailbreaking completely to the sidelines. That’s not the intention of Panda Helper’s developers, but think of it as collateral damage when trying to address the problem of Apple’s walled garden. So try Panda Helper and see if you like it. You can get the free version now and then upgrade to VIP for special access. You might just get hooked on it.